Have you ever wanted to solve a Rubik's Cube? Search no more! 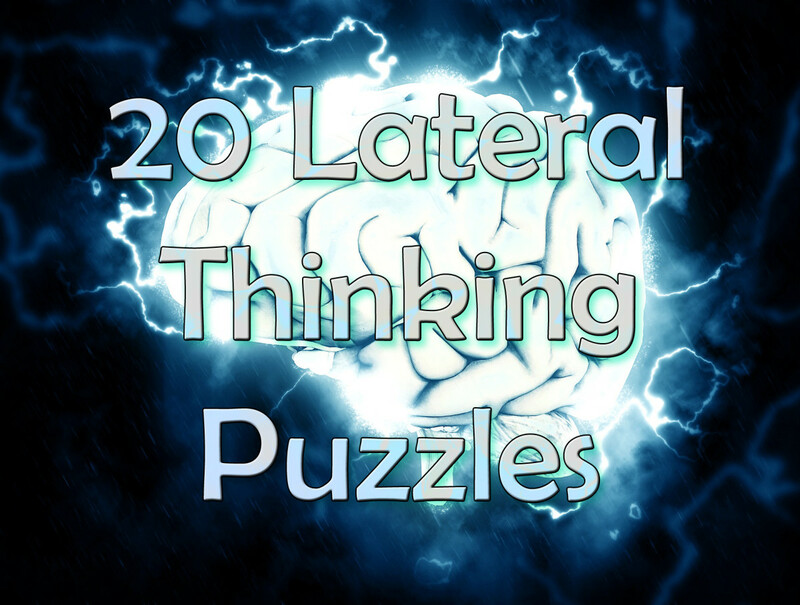 Read on for a simple, step-by-step guide to solving the classic, world famous puzzle. The Rubik's cube is the most famous puzzle worldwide. It is both loved and hated for being so seemingly complex, and addictive, at the same time. It was invented in 1974, by the Hungarian inventor, architect and professor ErnÃµ Rubik. Many people have tried to solve the cube, but many failed, and gave up in frustration. A few brave souls took on the challenge, and after years of countless attempts, someone found a solution. More and more people tried and succeded, but there was always the majority of people who just could not solve it. After twisting and turning the cube in vain, they found themselves removing and replacing stickers and/or cubies, in the attempt to restore the cube back to its colourful and perfectly original configuration. Keep reading for an easy to follow, seven step tutorial on how to solve the notorious 'puzzle cube'. As an introduction, watch the video below for a in-depth guide on how to solve the cube. If you know the basics, i.e. how to solve one side, scroll down to the worded tutorial for a less detailed solution. In the following video and tutorial, I will use certain cube notations to describe the moves that will be needed to be carried out, in order to solve the cube. 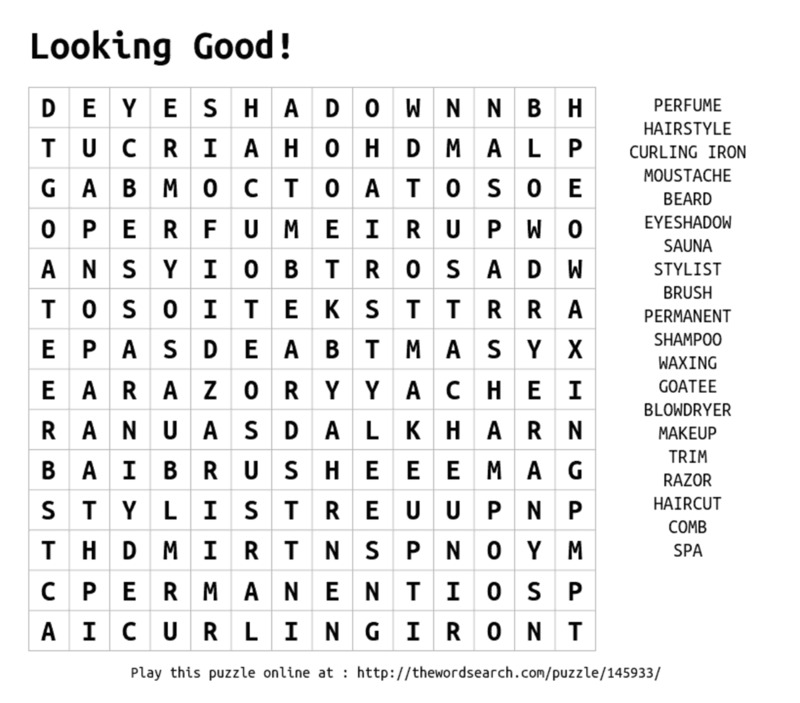 When one of these letters are shown, you look at the appropriate side and turn that face clockwise. - An 'i' after a letter means 'inverted'. This means that when you look at the appropriate face, you turn the face anti-clockwise instead of clockwise. - A '2' after a letter means you have to turn the appropriate face twice, instead of just once. Fortunately, it does not matter which way you turn the face, as long as you turn it twice, because it will have the same outcome, either way. If it says 'X', turn the corresponding cubies from left to right. If it says 'Y', turn the corresponding cubies from down to up. 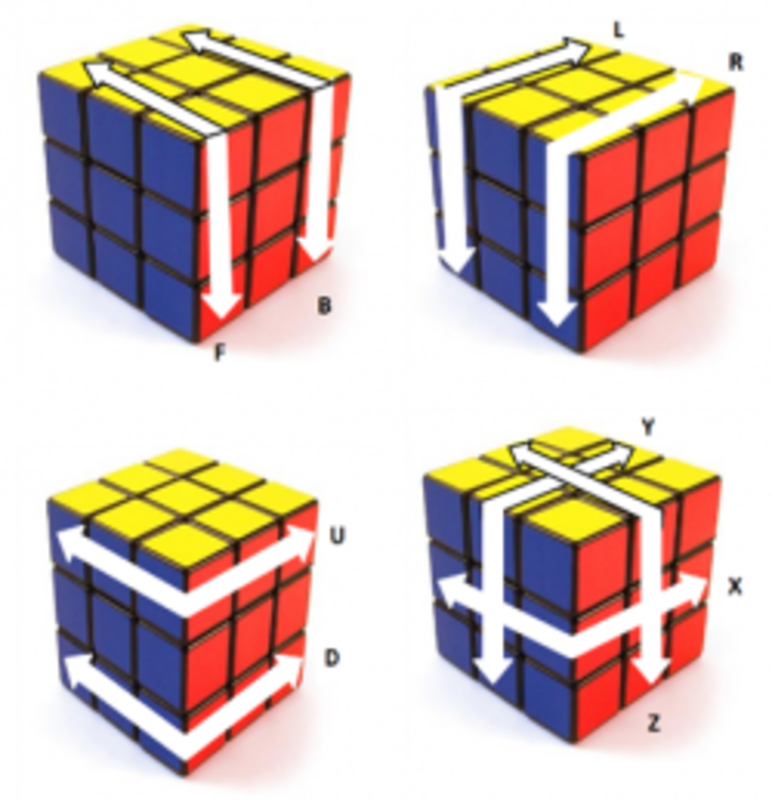 If it says 'Z', turn the corresponding cubies clockwise from your point of view. A picture of the side notations that will be used has been included on the right of this text module. If you cannot see the picture clearly, zoom in on your browser (keyboard shortcut: ctrl + +). Before you begin, you must first prime the cube. To do so, pick a corner cubie and turn the cube so the selected piece is the upper-right-hand corner cubie, on the front of the cube. It can be any colour, but for this tutorial, I will use the blue-red-white corner, with the blue on top, the white at the front and the red on the right. Then, turn the sides attached to the selected cubie so the colour of the top of the corner matches the colour of the center piece, for example, in my description, is blue. You can move the Blue center around in any direction you want until it arrives at the correct top-center position as shown. By priming the cube in this way, you have already solved two of the top row cubies. We are now ready to solve the rest of the cube. As of this point, you should have primed your cube. Now you can begin the solving stage. You may have to repeat the algorithm up to six times. Do this for all corner pieces on the first side. 3. 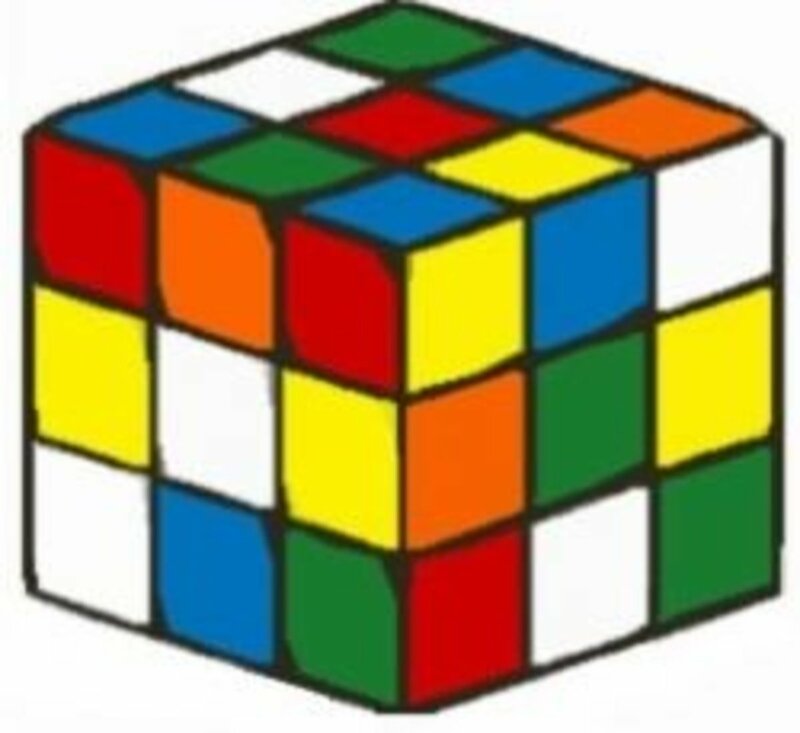 If the missing cubie is in the second layer, turn the cube so the selected cubie is on the right, and do the following algorithm: Ri, Di, R, Di, F, D, Fi. Then, do the algorithm showed in number one or two (whichever one applies). Sometimes, after doing the algorithm, the piece goes in, but the wrong way around. If this is the case, do the algorithm once more, reposition the piece and re-do the algorithm. Repeat this for all edge pieces on the second layer. 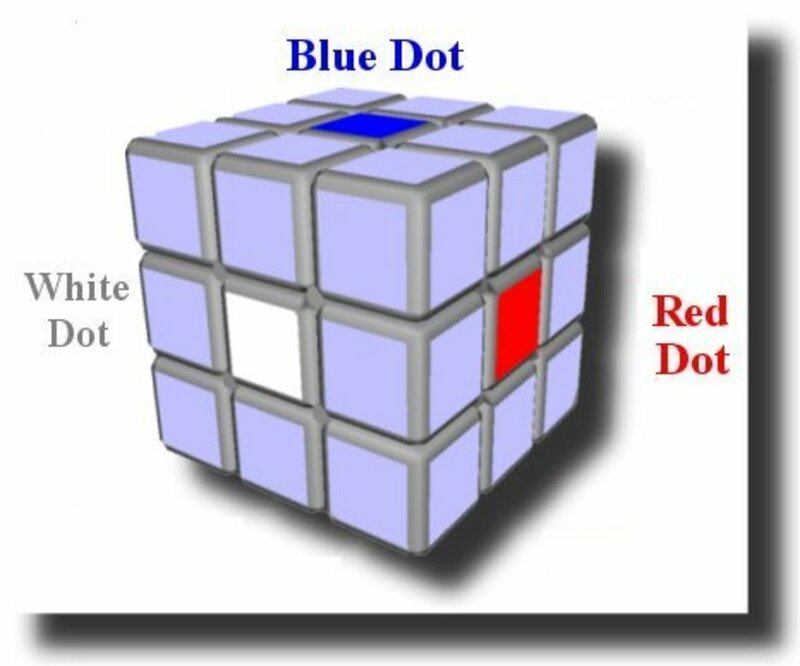 Before you start this step, you must turn the whole cube upside down, so your starting side is at the bottom, which in my case is blue, so the opposite colour, green, is now at the top. If there are four solved edge pieces, the cross will already be solved, and you can just move on to the next step. 2. 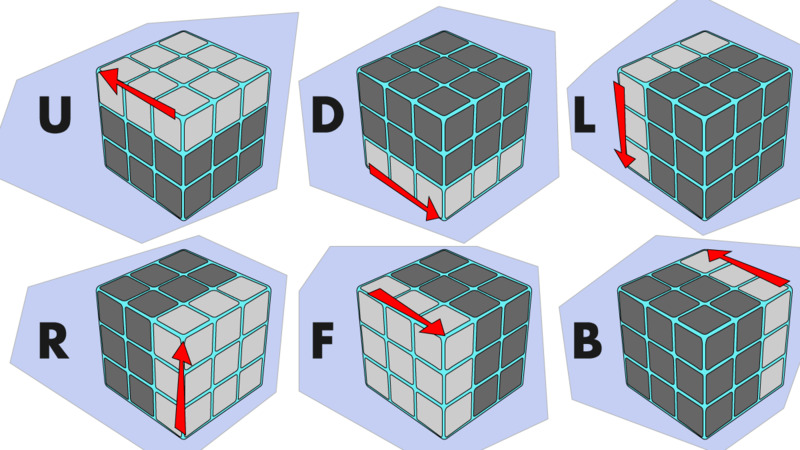 If there are no correctly positioned corner pieces (matching pairs), turn the cube so you face the original side, so the first side is at the front and the last side is at the back, and do this algorithm, making sure that the pieces that need to swap are now both on the top face: Ri, U, Ri, D2, R, Ui, Ri, D2, R2. Then, look at number 1 on this step. 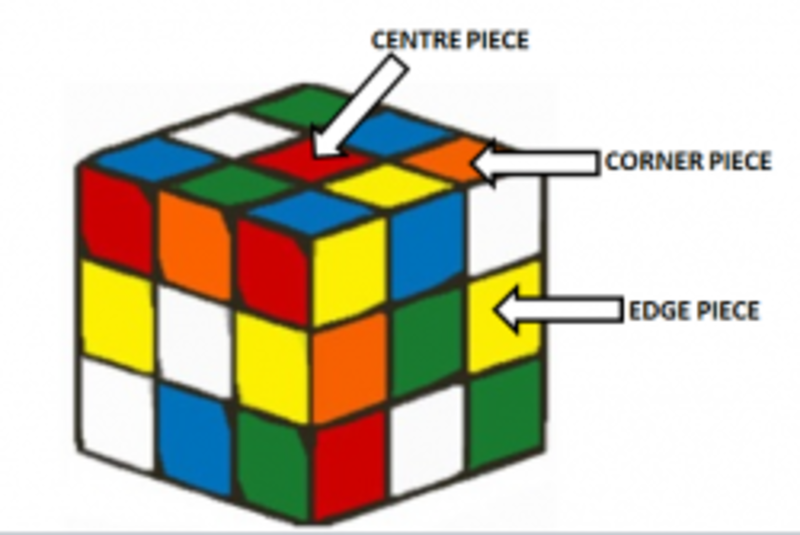 Is there an easier way to solve the Rubik's cube? What does inverted mean when solving a Rubik's cube?